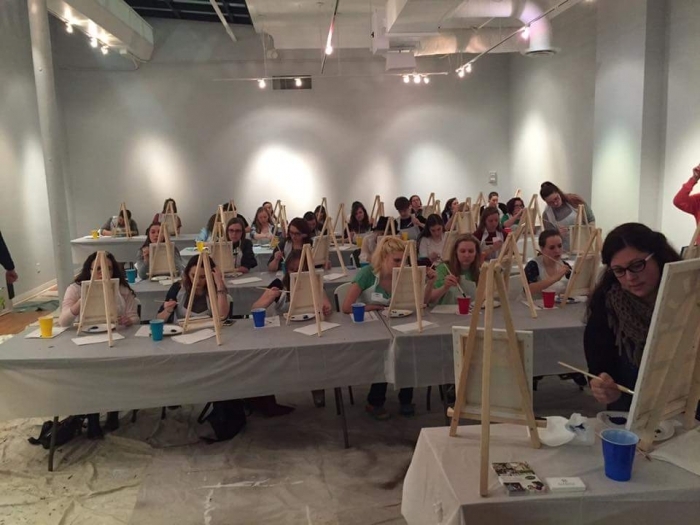 Create with Kristin specialized in Custom Art Parties. They are great for Birthday Parties, Moms clubs, Team Building, Girl’s Night Out, Baby & Bridal Showers, Church Groups, and much more!! All parties are available for groups of 10-50 guests and are customized to each hosts specifications. A note from Kristin— I absolutely LOVE to help others create. I graduated from Bowling Green State University in 2003 with a Bachelors in Fine Arts. Specializing in Photography, Painting, Ceramics, Graphic Design & Jewelry. Today with readily available creative ideas and supplies, the modern Art Party can be customized to what you would like for your guests. Contact me through the form below to begin your Custom Art Party. Painting Party- child, starting at $25/person —- more info here.